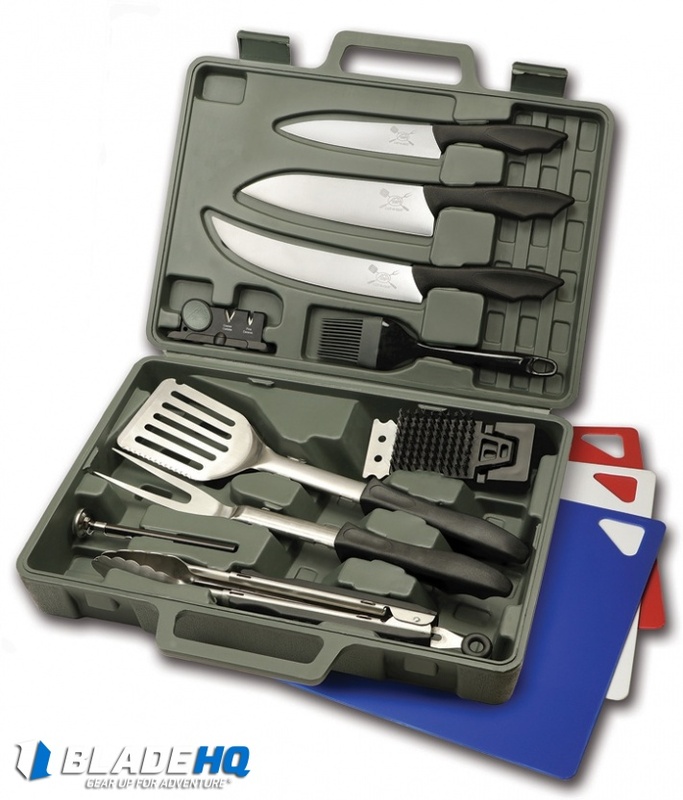 The Outdoor Edge Cut-N-Que offers a 14 piece set of essential BBQ tools. 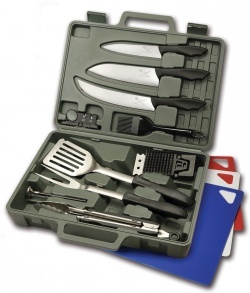 It includes an OD green hardside case for storing and transporting all of the BBQ gear. 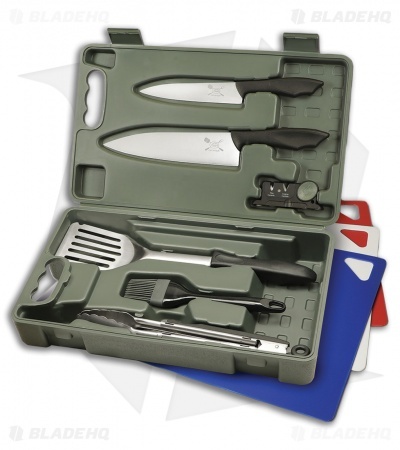 Be prepared for your next BBQ or camp-out with the Outdoor Edge Cut-N-Que Set.